We offer print and digital solutions and a combination of both, what works best for you? Whether your looking for print or digital wedding photography packages or a mix of both, we've got you covered! We have wedding photography packages available from $1,650.00. Ideal for creative types. Use your deign skills and and our digital files to create your own albums and prints at your leisure. Share with your friends on Facebook and Instagram. Images come to life in print, especially when arranged in a professionally designed album that tells your wedding story. Digital files are included in our album packages too. We’re with you on your wedding day. We don’t impose set hourly limits as every day is different. Our standard photography coverage begins with groom preparation and extends to the the first hour of your wedding reception. A wedding photography package with no decisions to make! Experience your own red carpet Wedding Image Premiere event with your selected guests. 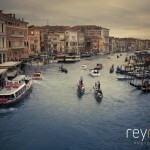 Our Venetian Fine Art Album range is ideal for the busy couple seeking a photography package with no decisions to make. Included is fixed pricing, a professionally designed album, printable digital files and social media files ready to share on Facebook. We want to be involved in creating our wedding album. If you’re wanting to create an album that’s a one off work of art, you’ll love our hand made Fabriano albums. We involve you in the design of these panoramic albums every step of the way. Personalise your album with your choice of select materials for covers and display boxes to suit your home decor. Of course, printable digital files and files ready for social media are included with your Fabriano album. Digital files so you can create your own album and prints. Are you the couple wanting to use your own creativity to design and manufacture your own wedding album at your leisure? Our Digital Files DIY package includes unwatermarked high resolution files of all your wedding images and social media files ready to share. With our DIY Digital Files Package, you’ll have the materials to explore your own creativity to display your wedding photos. A short coverage and digital files for mid week weddings. Intimate, mid week weddings are becoming increasingly popular. Are you the bride and groom planning a small wedding and wanting a professional photographer for just a short time? If all you need is something small that includes a short coverage of your wedding and digital files, our Mini Package may be perfect. It includes up to 3 hours coverage and digital files you can use to create your own wedding memorabilia. I’ve been passionate about photography since my teenage years. 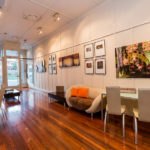 Careers in banking, training and development, organisation development and management consulting have given me a unique blend of skills to capture images with a story telling style. It’s been one heck of a ride so far!